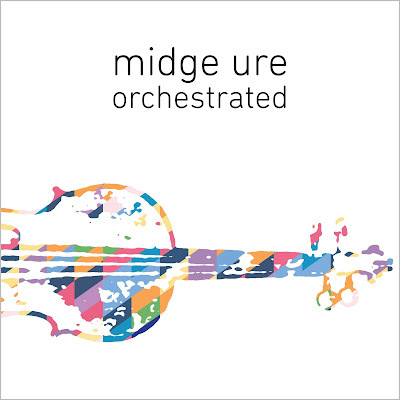 Last December Midge Ure released Orchestrated, a collection of reimagined orchestral versions of Ultravox songs and tracks from his distinguished solo career. Today Ure announced that Orchestrated will be released on vinyl on June 8th. Copies of the double 140 gram clear vinyl autographed by Ure are available to pre-order though his official website. Meanwhile several Ultravox releases have been issued recently as expanded digipack sets. Vienna, Quartet, Lament, and Rage In Eden are available as 2CD expanded sets; the live album Return To Eden is available on 3 discs (2CD/1DVD); and the 1983 live album Monument on 2 discs (1CD/1DVD). The 1984 compilation The Collection is available on digipack, but is a standard CD (not an expanded release). Finally, Vienna will be reissued on vinyl on April 6th and is available to pre-order now through Amazon UK. Links to buy the reissues can be found through the Ultravox news website here. As previously reported, Midge Ure hits the road later this year for a handful of solo shows, then hooks up with Paul Young for the Soundtrack Of Your Life tour. The tour plays the Magic Bag in Ferndale on June 14th and tickets are available here.